Life is messy and humans are even messier. We drop coffee on the couch; our kid's get dirt on the carpet and who knows what those stains are that the dog left on his last trek through the house. Luckily over the years we humans have figured out ways to take care of these inevitable messes. When it comes to upholstery spills, here are tips for stain removal in relation to their causes courtesy of Floor Medic. a.Children are the light of the world, they're also a tornado of destruction. Be prepared to treat quite a few tarnishes as a parent. i.Spilled juice can leave a noticeable and sticky mark. Start by blotting not rubbing with a white cloth. 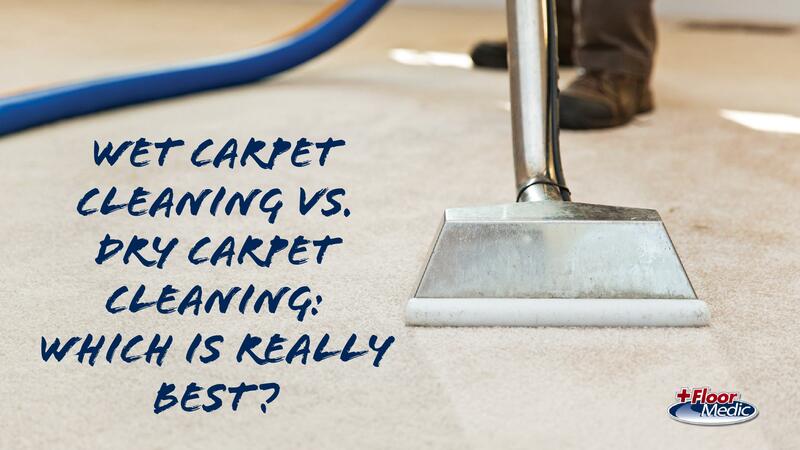 Treat with a carpet cleaner or a homemade mixture of cup white vinegar, one tbsp. of Dawn dish soap and water. Spray the area; let it soak for 5-10 minutes then return to blot again. ii.Encourage your kid's creative juices, but be prepared to remove crayon markings. Scrape off excess crayon with a dull-edge knife. Spray with warm water and apply dish soap. Work the dish soap in with a brush (like a toothbrush) then wipe away with a damp sponge. iii.Dirt marks are some of the easiest to get out, luckily, since it's one of the most common. If the dirt is lose, simply wipe away with a dry towel. If it has more of a mud-like consistency, mix one tbsp. of dish soap with two cups cold water. Using a white cloth or sponge, clean the mark until it's removed. a.It's not all just kids though. Adults are just as capable of making a mess, albeit with much more grown up commodities. i.Coffee is essential to life. Itâ€™s also a major stain-maker. Blot with a white cloth to remove excess liquid. Put some mild soap onto a damp sponge and rub the spot in soft circular motions. If the spot persists, try a vinegar and warm water mixture, dipping in the sponge and rubbing in the same manner. ii.We've all had that moment of horror when a ballpoint pen has burst in our hands. The real terror comes afterwards, trying to work with the seemingly impossible dye removal. Have hope. Dampen a white cloth with water and rubbing alcohol and begin blotting. Combine equal parts glycerin soap, dish soap and water. Blot the stain. If the spot remains, add two to three drops of ammonia to the mixture. Rinse with clean water. a.You can't dress it up; pet messes mean urine and bowel accidents. If you catch them while still wet, place a newspaper on the affected area if possible. Place more newspaper over the spot then soak up with a thick layer of paper towels. Stand on the padding for 60 seconds, remove it and repeat as necessary. b.If the blotch has already dried, rent a high duty carpet cleaner. Use a specialized pet stain remover and avoid normal cleaning chemicals. a.This one may seem unlikely but a couple of sibling fights or an attempt to reenact a ninja movie can make this a much more common blemish than one might think. To remove blood start with a damp sponge and blot from the outside in. If the blood is dry, use a toothbrush to first remove residue. Mix cold water with club soda and pour onto the area then continue to blot with the sponge. Once all of the excess blood has been lifted, mix 80% water with 10% glycerin and 10% laundry detergent in a spray bottle. Spray the area a couple of times and then scrub with the sponge in a light circular motion. Don't let the messiness of life get you down. 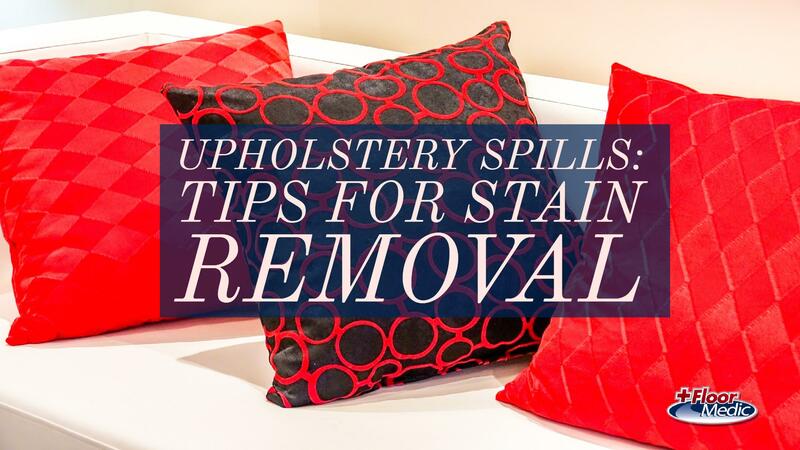 For upholstery spills use these tips for stain removal from Floor Medic to quickly clean up and move on. Contact Floor Medic for all of your stain and water removal needs. We are located at 9053 Milton Jones Rd. Daphne, AL 36526. Visit our website at www.floor-medic.com or give us a call at (251) 625-0008.